Cynthia Erivo stole the show on the Bafta red carpet, turning heads in a stunningly skirted dress. The actress – who is nominated for the the Rising Star Award – looked dazzling in the frothy creation, which had a purple accent around the hem to match her purple hair. Thandie Newton caught of a few eyes of her own as she arrived at the ceremony in a stunning black and white dress with a voluminous skirt, and Amy Adams oozed old Hollywood glamour in a deep burgundy gown and sleek pulled back hair. Other standouts in the fashion stakes included Glenn Close, who looked elegant in a long black dress with a peplum, and Laura Whitmore, who sparkled in a long silver and clay coloured dress. Viola Davis was sophistication itself in a form-fitting black dress with a large white bow detail worked into the neckline. Maya Jama brought the drama in an eye-catching black dress which showed off her curves, while Millie Mackintosh channelled a Disney princess in delicate pale pink. Eleanor Tomlinson also opted for pink, and looked fashion forward in her floor-length dress, which had a black panel from the waist to the ground. Lily Collins made a statement in a deep blue dress with a sheer skirt and a matching jacket to keep out the cold. Red carpet host Edith Bowman went for something a little more unusual – a long pink dress with a sizeable white ruffle at the throat. The quirky gown had a vase of flowers beaded and embroidered on the bodice. 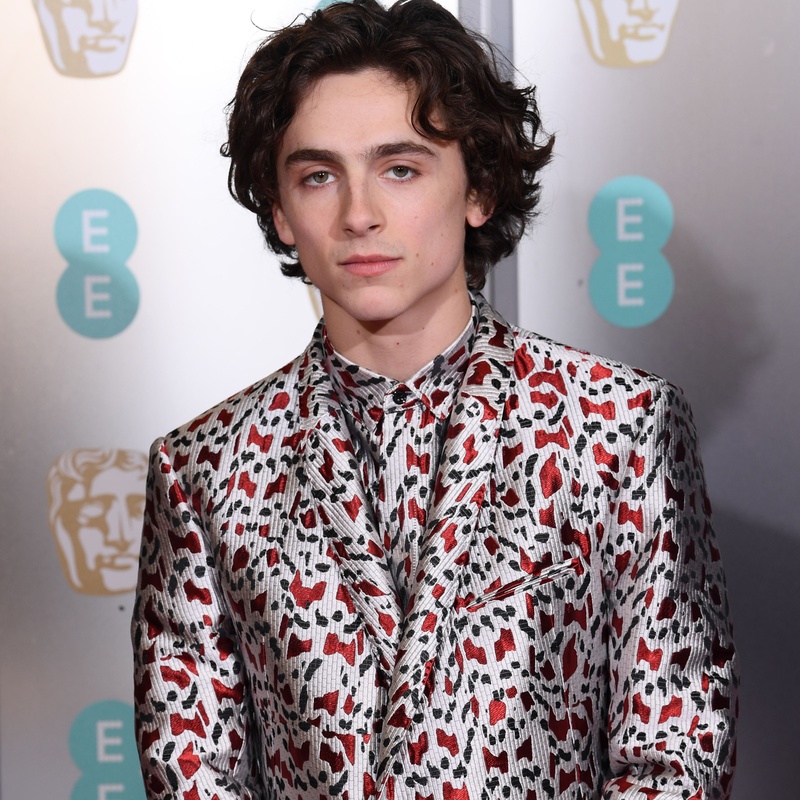 It was not just the ladies turning heads on the carpet – actor Timothee Chalamet also made a splash in a red and gold lame leopard print jacket. The Baftas are being held at the Royal Albert Hall.